At the Natural History Museum discover your world past and present. 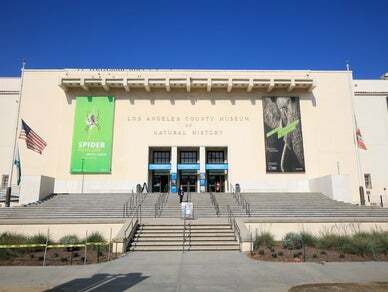 Encounter dinosaurs, experience nature, explore our dioramas, marvel at one of the most impressive gem and mineral collections in the world, and learn how L.A. went from tiny pueblo to sprawling metropolis in our Becoming Los Angeles exhibit. Seasonally, take stroll through our Butterfly and Spider Pavilions, or check out one of our upcoming special exhibitions.